McLaren has presented its first all-new driver line-up in 12 years, as Carlos Sainz and Lando Norris watched 34 of their McLaren colleagues unveil the MCL34, the team’s 2019 race car, ahead of pre-season testing next week. This year, Sainz (24) begins his fifth F1 campaign, while Norris (19) embarks on his debut season, as McLaren continues its performance recovery programme throughout 2019. The concept and design process of the MCL34, powered by the Renault E-Tech 19 engine, focuses on laying the foundations for development of the car throughout the season. 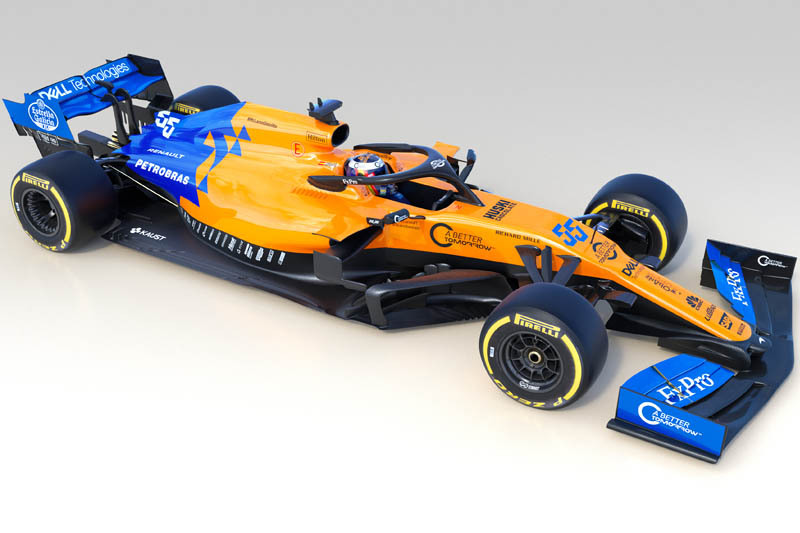 The MCL34 livery continues to sport the iconic McLaren papaya orange, echoing the colour chosen by Bruce McLaren for the team’s first Grand Prix entry in 1966. This year’s scheme is a progression from 2018, featuring a complementary blue that nods to the team’s broader racing heritage. Over a productive commercial pre-season, the team has continued to strengthen its partner portfolio, with the addition of three new brands forming a 30-strong roster. The MCL34 will make its track debut at the Circuit de Barcelona-Catalunya on Monday, where Carlos and Lando will share the driving duties across both tests. “I’m really looking forward to the tests and excited to finally go racing in McLaren colours,” said Sainz. 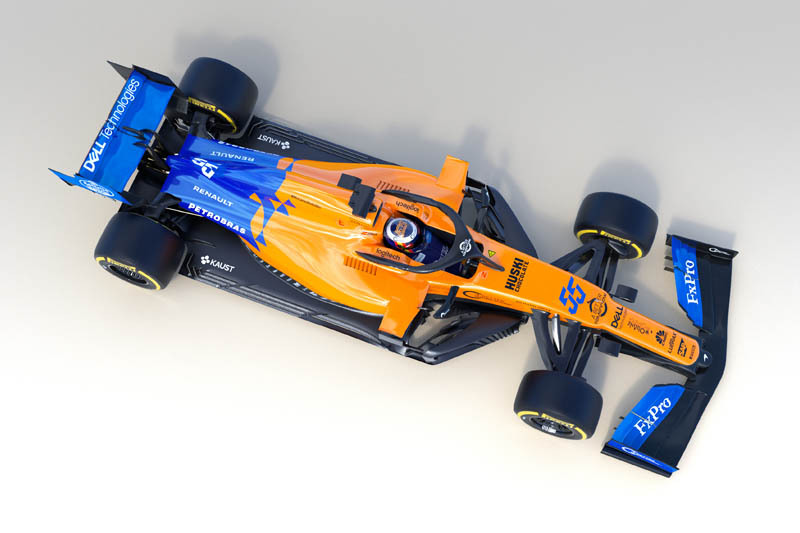 “I know everyone at the factory has been working very hard over the winter to prepare ourselves for this year, and I think the team has done a fantastic job with the livery of the MCL34. “Next stop, Barcelona!” added Norris. “Seriously, I can’t wait to get behind the wheel in testing. I’ve been working hard over the winter preparing for my step up to F1. I’ve spent a lot of time with the team in the factory too, learning as much as I can to get ready for the 2019 season. “The MCL34 is the result of an immense amount of hard work and dedication throughout our team,” said Zak Brown. “We’re all committed, motivated and united in our ambition to return McLaren to competitiveness, and the MCL34 is only the start of this process. “The McLaren family is not only our people and our drivers, but also our superb partners and wonderful fans. We have a strong community of partners which continues to grow, and an incredible fan-base, who have all remained loyal and supportive throughout our highs and lows, and I’d like to thank them as we head into the 2019 season. Check out our McLaren MCL34 reveal gallery, here.